Dynamic Excel Template to create Mexico Heat Map automatically at state level. 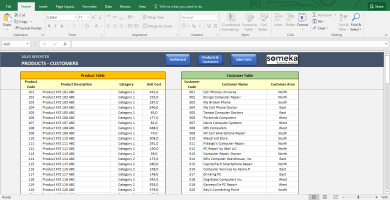 Enter your data in the template and heat map gets ready instantly. 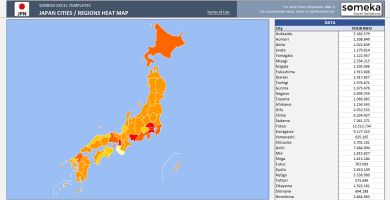 Using geographic heat maps is a smart method for visualisation of geographical values. According to this method, we use colour sets and shades in order to show individual data points within a data set. 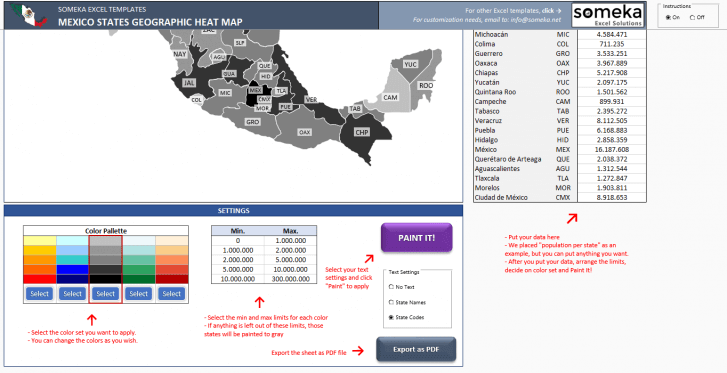 If you are interested in creating a Mexico Heat Map, this Excel template will meet your needs. Why Do We Make Use Of Heat Maps In Order To Present Data Sets? As technology improves, we achieve to get more and more available data within information systems. In parallel to this fact, we became more capable to reach a lot of information and data. On the other hand, it became obvious that, the more data we have, the easier and smarter ways we have to find out for telling and presenting this data. 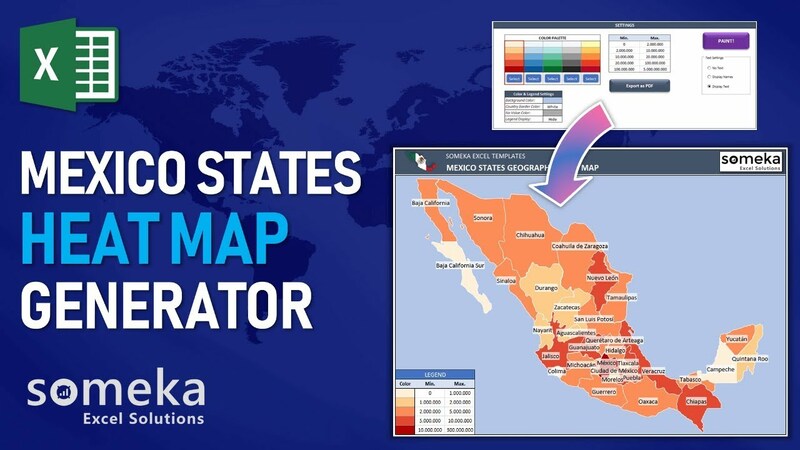 Accordingly, data presentation and data visualisation through geographic heat maps has become an effective solution for presenting sophisticated data sets. In many areas, we make use of geographic heat maps frequently. 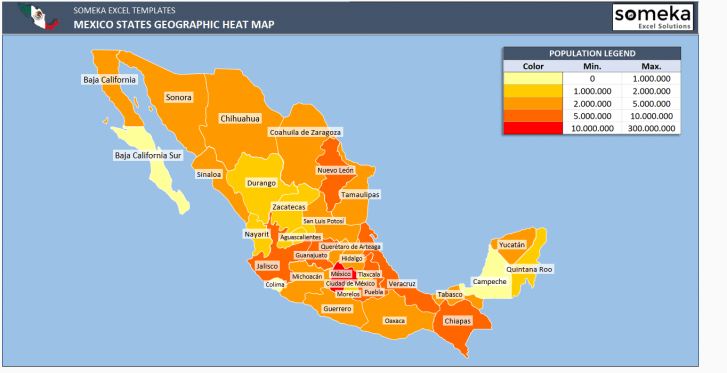 Mainly, company people use geographic heat maps for their presentations and daily reports. 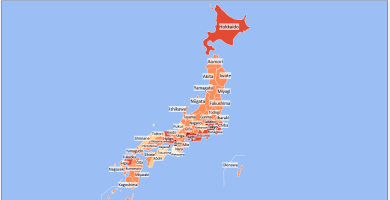 Another area where geo heat maps are being used is meteorology science. 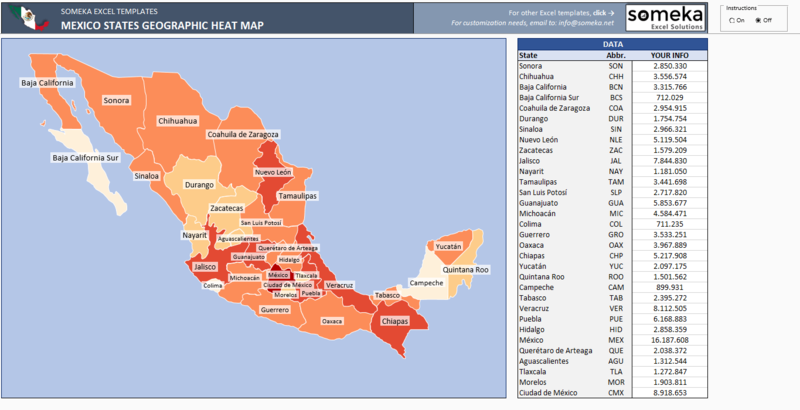 Sociology, economics, politics, medicine are other fields that we use geo heat maps regularly. 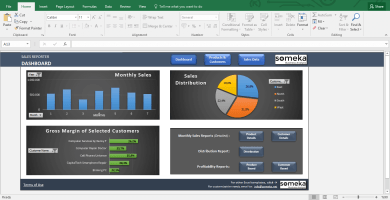 Sounds good, but how can I create a Heat Map in Excel? 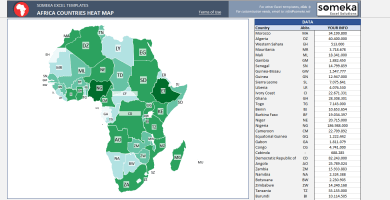 As you see, it takes a lot of time and effort to make a heat map on your own. 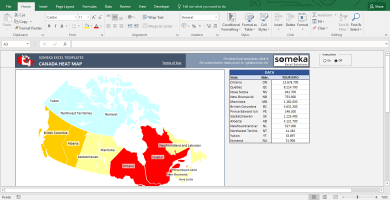 Therefore, we have created ready-to-use geo heat maps for continents, countries and cities, in Excel. Geographic Heat Map for Mexico at region level is one of these heat map templates. 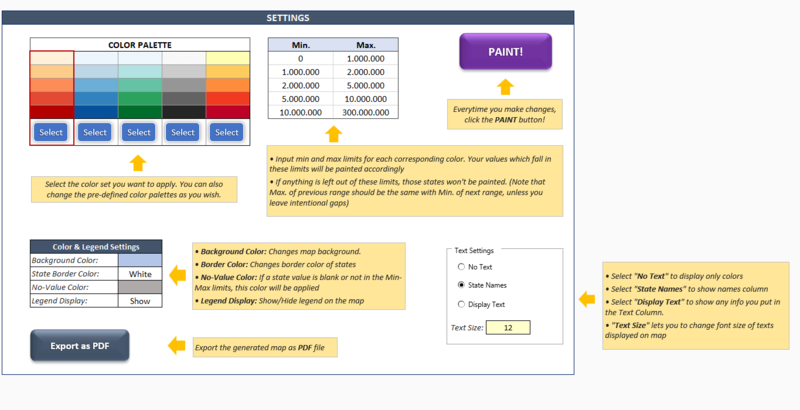 Step: Choose your color set and click the button! 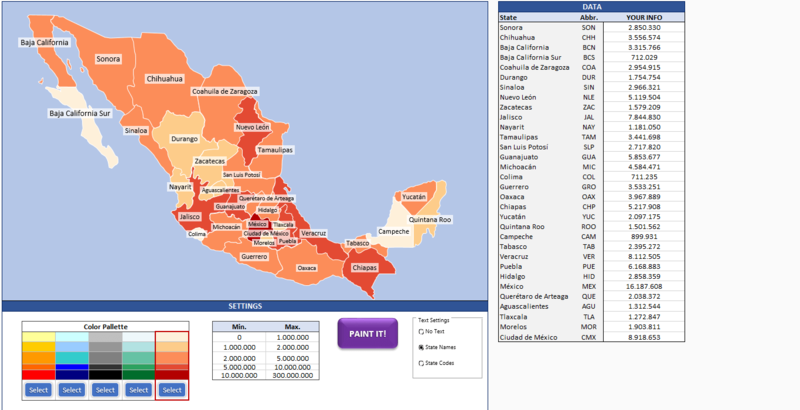 Thanks to this Excel template, you will see that your Mexico heat map gets generated within minutes! 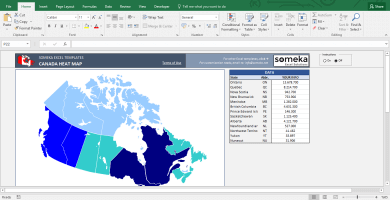 You can print the results or export to PDF as you like.